Download/Convert Online Video to MP3, MP4, WMV on Mac from YouTube, VEVO, MTV, F4F sites. 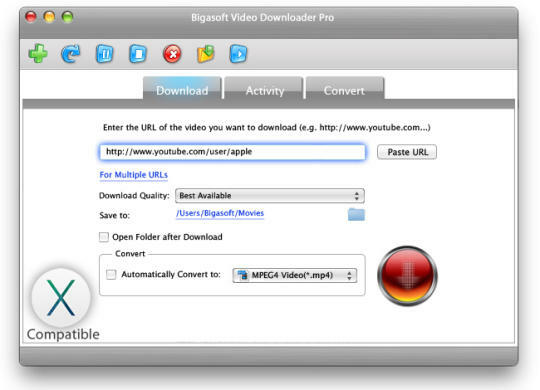 Bigasoft Video Downloader Pro for Mac enables to download videos in HD, 4K, 1080P, 720P and convert them to any video or audio format you like, such as MP4, WMV, AVI, DivX, Xvid, MOV, MKV, MPG, FLV. Download video on your Mac and convert it into MP4, MOV, ProRes MP3.